The Tempest is a full-size, assisted-opening knife with a unique skeleton handle construction and Buck"s patent pending ASAP Technology - an advanced-design spring mechanism that provides easy, safe blade release. 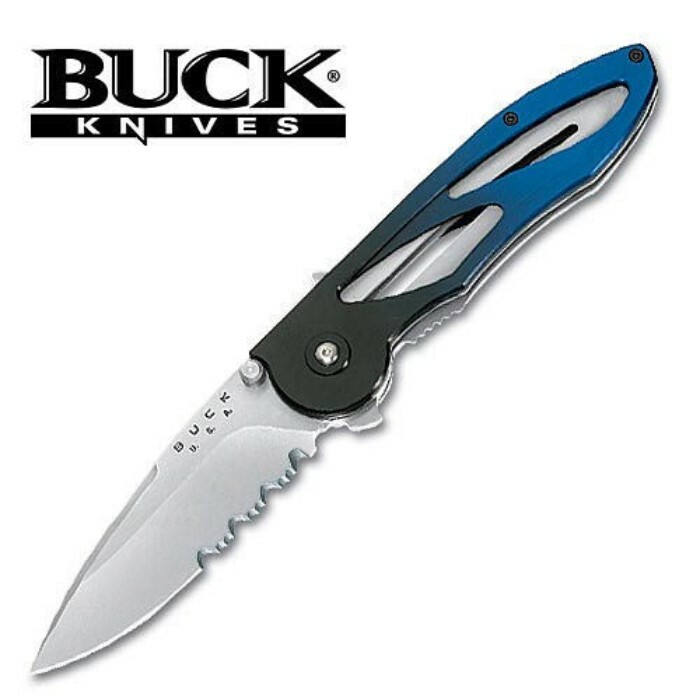 Features a 3 1/4" drop point blade, with a overall length of 7 3/4". 4 1/2 in. closed, 7 3/4 in open. Handle Material: 6061 T6 aircraft grade aluminum.